Registration opens for current WFU students as follows on March 18: Seniors at 8:30am, Juniors at 9:30am, Sophomores at 10:30am, and Freshmen at 11:30am. After 11:30am registration will remain open for all students through May 31st. If you experience technical issues while registering, contact the Registrar’s office. If you need to change your registration after May 31st, contact us here. Create an account. To create an account, visit Online Registration and enter your name and email address. The applicant or the parent can request access to the online application. Once you have submitted your request for access, you will receive an email with the link and a unique password to the application. Please note your email and password, which you will need to access your application in the future. Complete the Application. Once you receive the email containing the link and your unique password, you are ready to fill out the application. You may save and continue your application at a later date as long as you retain your login information. Should you lose your login information, or have questions or problems with the online application, please contact us here. Visiting College and High School Students: Based on the student classification you choose on the application, you will be asked for additional documents to confirm your eligibility for admission to our summer program. Current college students may submit a letter of good standing or transcript from their university. Recent high school graduates may submit a letter from their high school confirming graduation, or a letter from the Dean or Registrar of the university where you have been accepted confirming that you have permission to take the requested courses. Current high school students may submit a letter of good standing and permission to take courses from an official at their high school. There is space within the application to upload these documents directly, or they may be emailed to summer@wfu.edu or mailed to WFU Summer Session, PO Box 7225 Winston Salem, NC 27109. 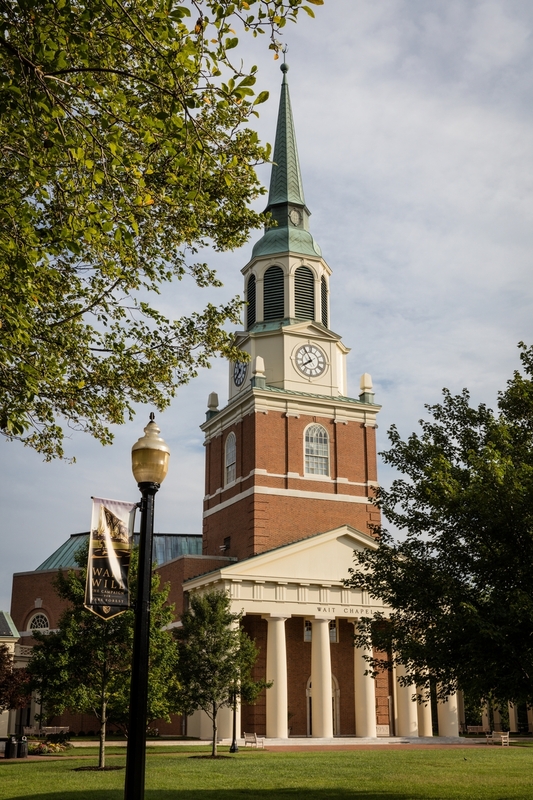 Newly Admitted WFU Students: Newly admitted students who will begin their full-time study at Wake Forest this fall do not need to submit a transcript or letter of good standing since they are already approved for admission to the university. You must include your WFU ID number on the application. Submit your completed application. Once you submit your application, it will be reviewed and you will be considered for admission to Summer Session. Once admitted, you will be registered for classes and sent additional information via the primary email address you indicated on your application. If you are a registrar or other school official who has been asked to complete recommendations or send transcripts on behalf of an applicant to the WFU Summer Session, please send documents to summer@wfu.edu or by mail to WFU Summer Session, PO Box 7225 Winston Salem, NC 27109.